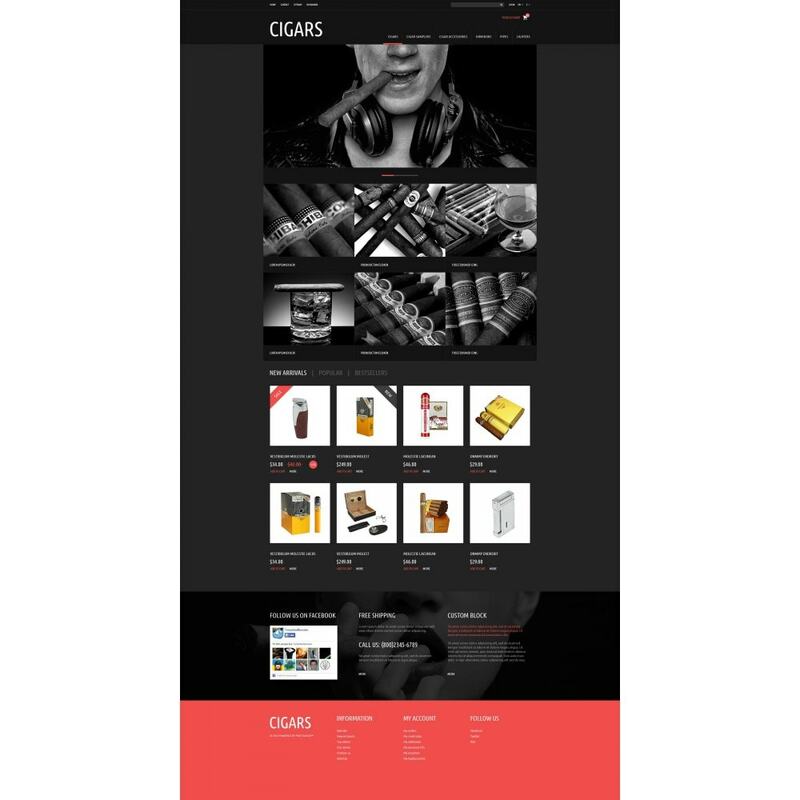 What the visitors will truly like about the store based on this theme is appealing layout based on a vibrant mix of black white, purple accents, user friendly structure and nice presentation of products. 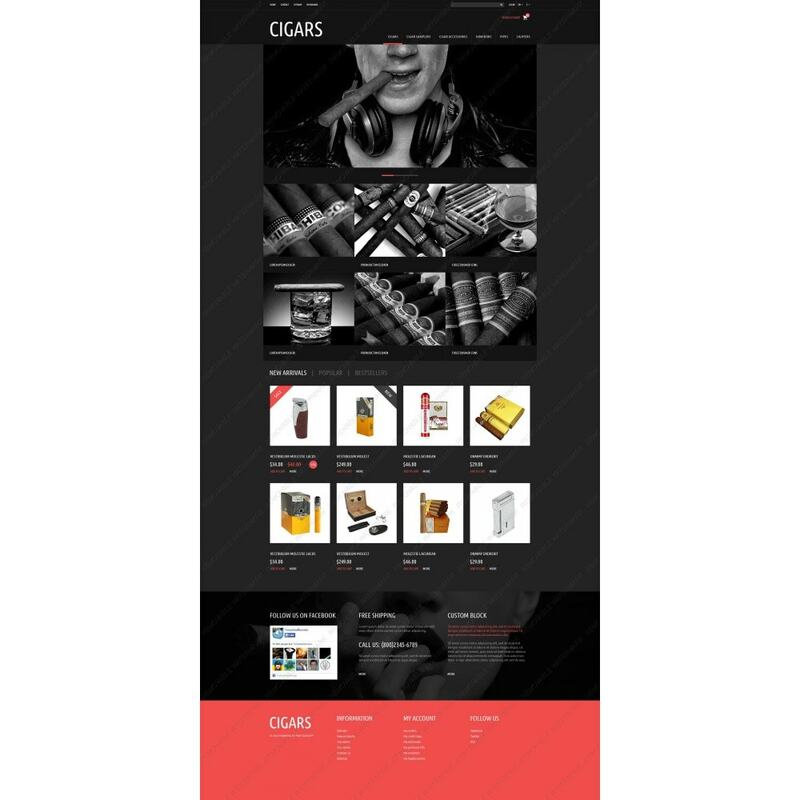 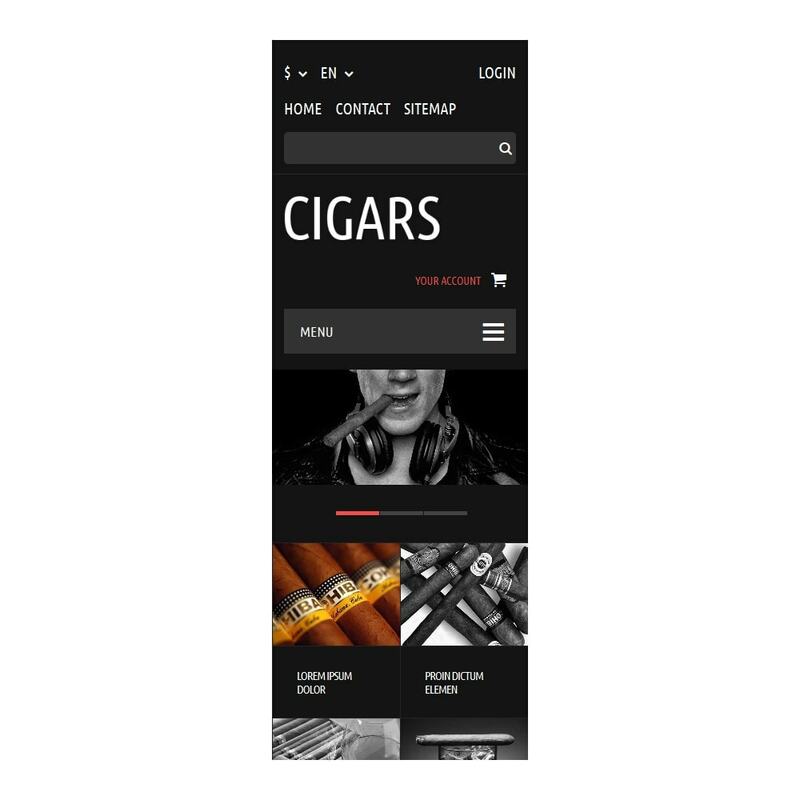 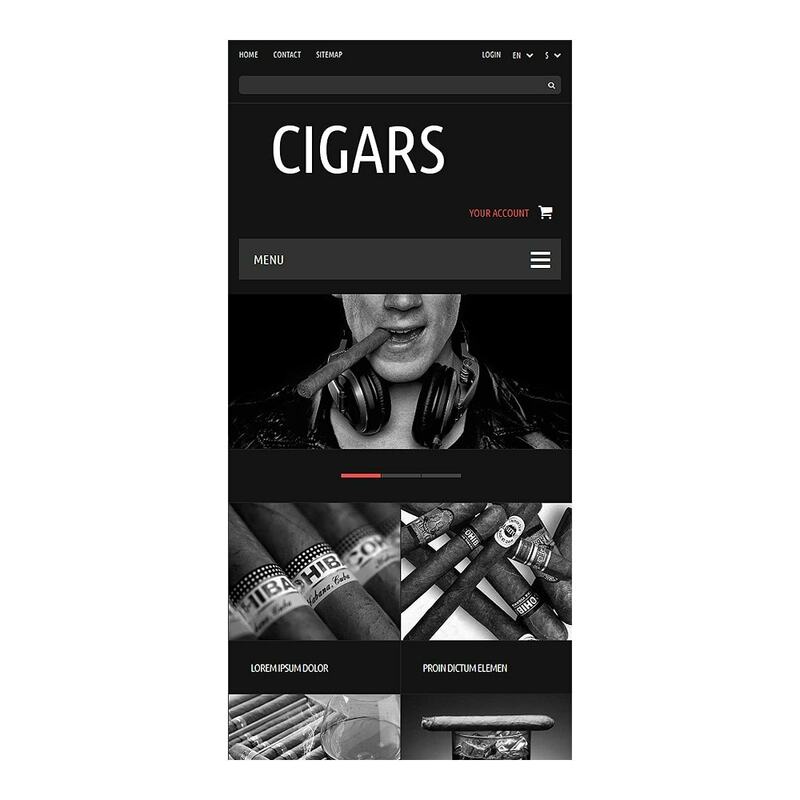 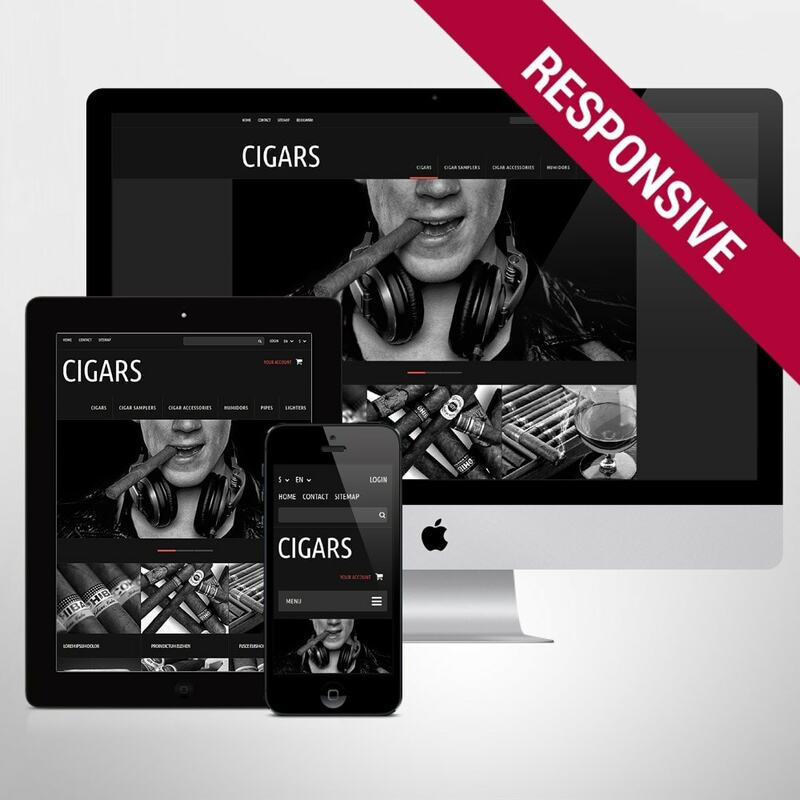 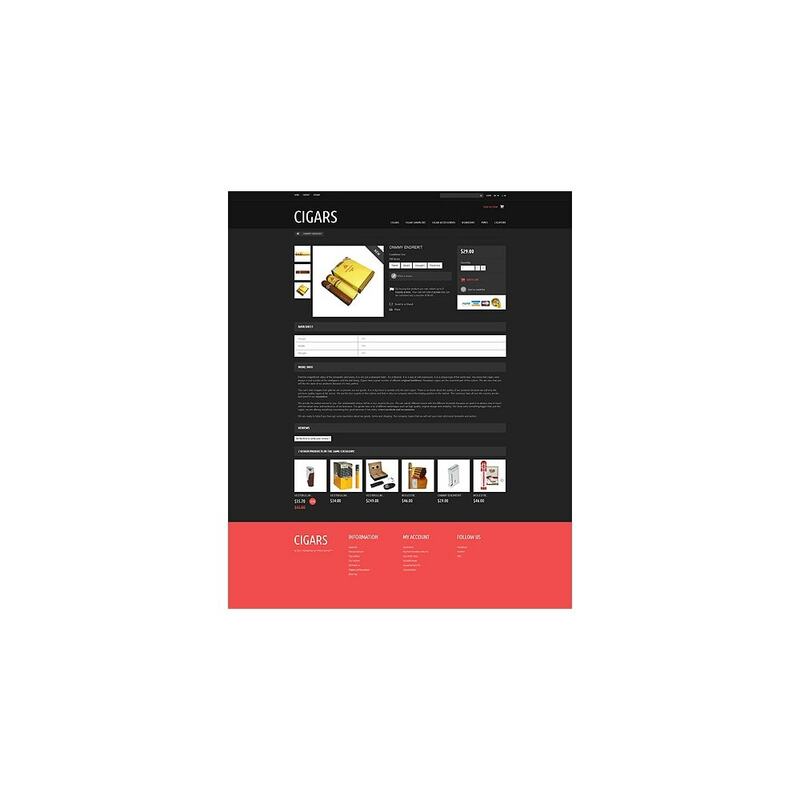 They will easily find whatever types of cigars and accessories due to the comprehensive structure of the theme and intuitive navigation. 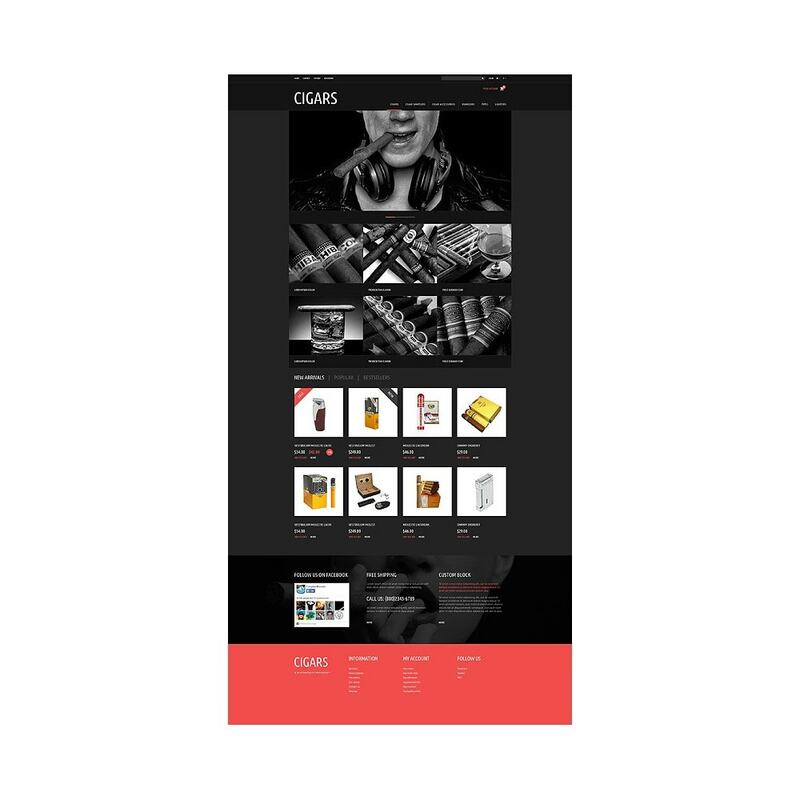 This pleasant shopping experience will guarantee their further coming back. 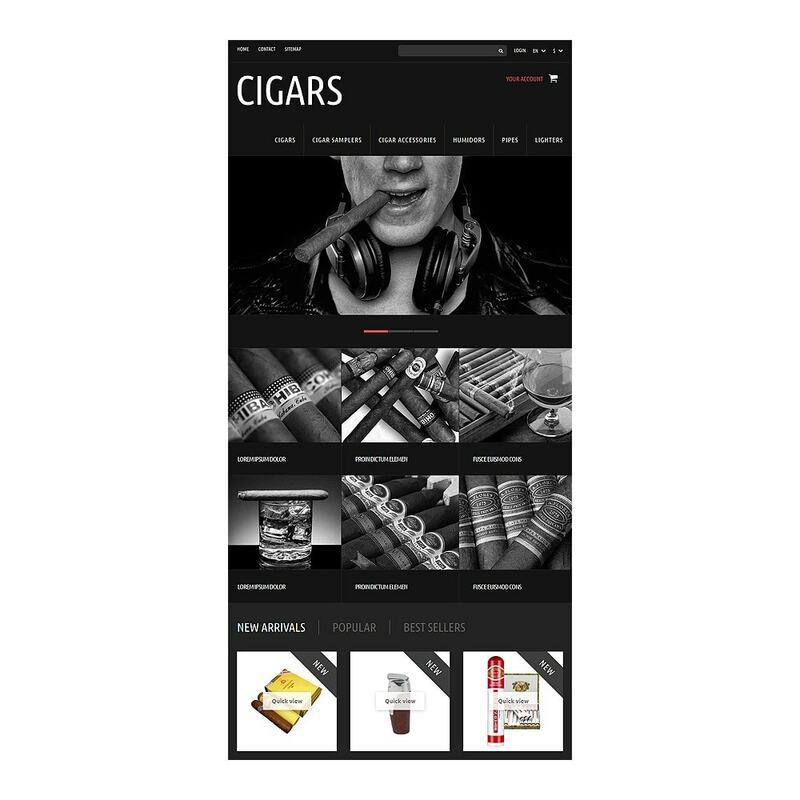 The template should interest tobacco, food drink, fashion, beauty, music, books stores.